More and more premium vehicles are from factory equipped with a level control and comfortable air springs. Especially for these vehicles, we have developed the KW dlc airsuspension with smartphone control. The dlc control module is now also available for the current Audi S8 plus as well as further A8 models of the D4/4H series with air suspension (Audi adaptive air suspension). 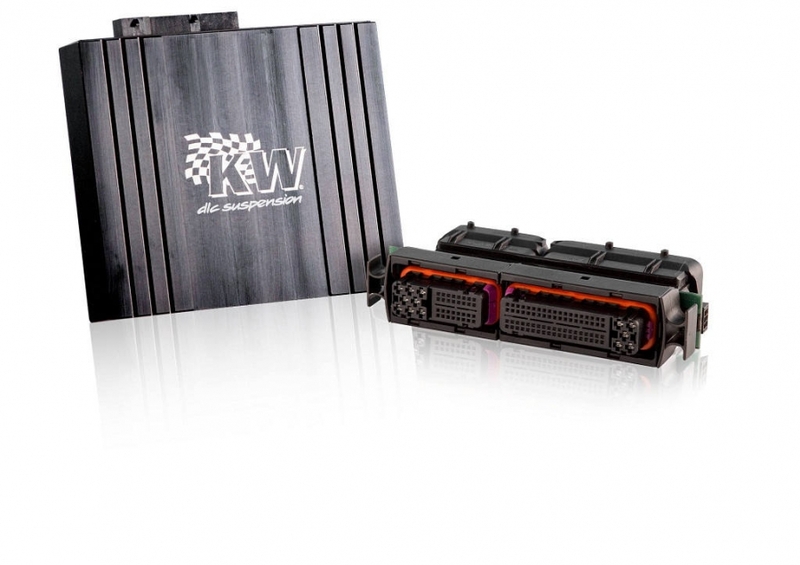 The KW dlc airsuspension (dynamic level control) is an electronic lowering module, which can quickly be connected to the board network via compatible adapter plugs. 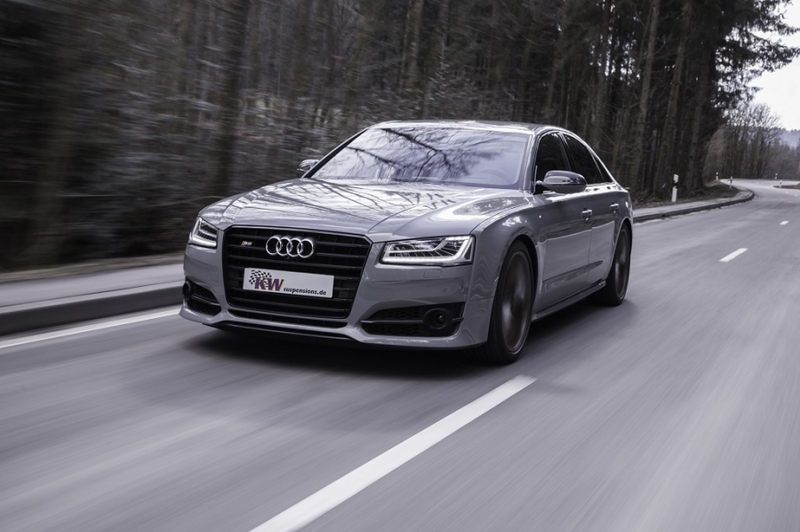 The KW dlc module enables the S8 plus with its Audi adaptive air suspension sport a vehicle-specific lowering of up to 30mm (A8 with Audi adaptive air suspension 30mm) and can optionally be adjusted continuously via the KW dlc App. Due to its compatibility with Apple iOS and Android, the intuitive App works for numerous smart phones and on input devices such as Apple iPhone, Samsung Galaxy or Sony Xperia. So it is easy to lower the Audi S8 plus by the millimeter in the ADVANCED menu. The lowering is carried out in millimeter steps within the vehicle-specific adjustment range. Of course, all adaptive Audi drive select functions are retained after installation. In order to control the KW dlc airsuspension via App, the KW control unit only needs to be extended with a wireless module. The installation of the KW suspension module can be made within a few minutes, and it can be removed at any time which makes it interesting also for leased cars. The communication between the App-compatible input devices works via a secured WiFi connection and the KW dlc airsuspension control unit extended with a KW W-LAN module.